Join us on October 12 for a festival in the Grove! 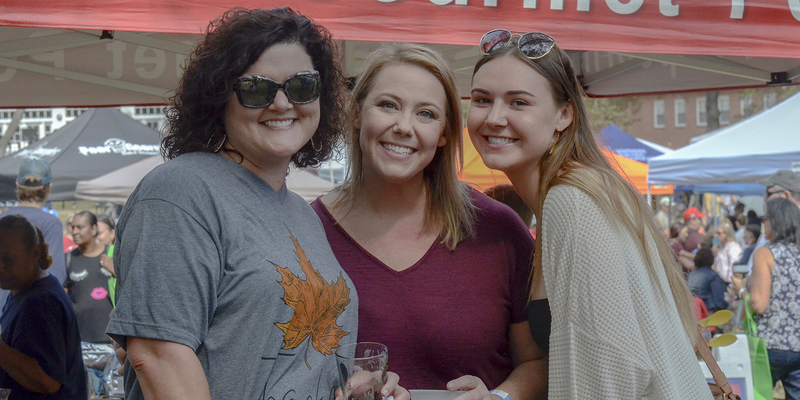 Bring your family and friends to the Grove on Saturday, October 12, 2019 from 11 am to 5 pm for a day of entertainment, fine food and drink, and to celebrate the pecan! 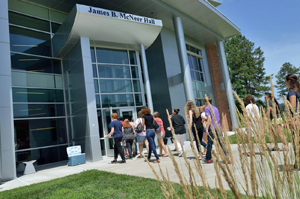 Richard Bland College of William & Mary strives to advance 100% student success, support the local economy and welcome visitors to the Best PART of Virginia. Rain Date: October 26, 2019 from 11 am to 5 pm. The stage will be rocking all day. 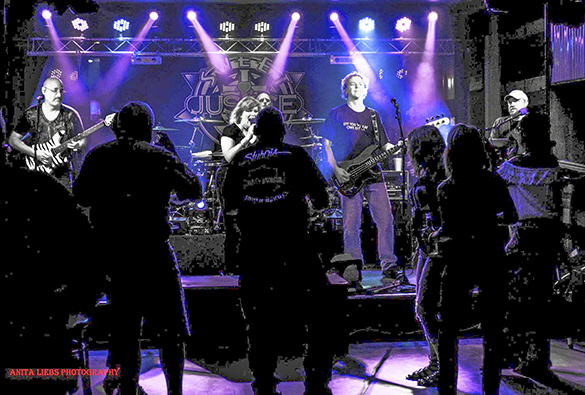 Performing for the first time will be Sweet Justice from 2:00 pm – 5:00 pm. Great food and beverages provided by local vendors will be available for purchase throughout the festival. 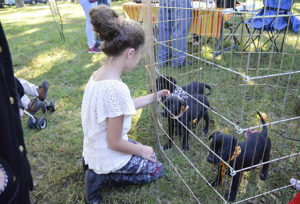 When visiting the Grove, experience craft activities, face painting, games, bounce houses, free activities for all and the Prince George Animal Control Department will have on-site adoptions. In 2019, the Pecan Festival will have hayrides, giving attendees a tour of the grounds. Assignment of Vendor Space: Space will be assigned with due consideration to a Vendor’s preference based upon date of receipt of application & payment. Specific space locations and/or exhibitor request cannot be guaranteed. 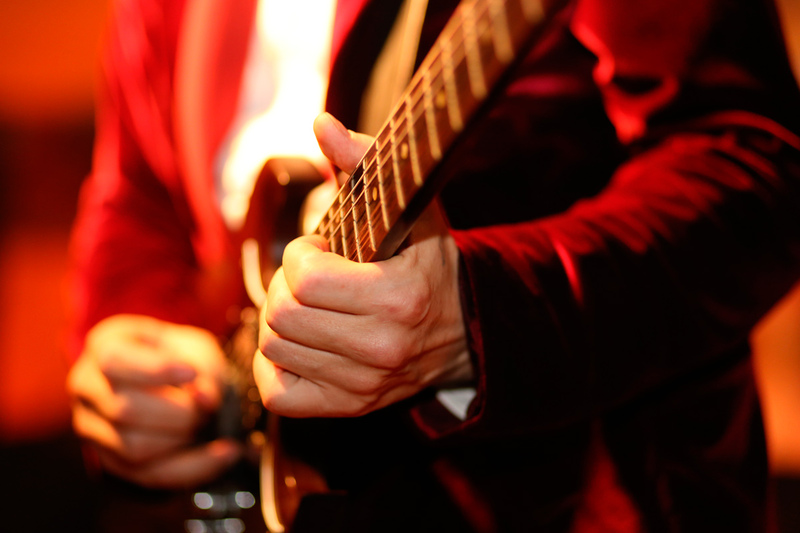 All requests for specific space and/or special requests are subject to review and approval by the Festival committee. Exhibitors may not permit other companies to use their space, or any part thereof, without express written permission of the Festival committee. Booth Dimensions and Design: Booth size will be dependent upon your reservation selection. 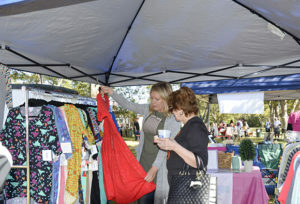 Vendors may purchase multiple spaces. Space reservations are for space only. Exhibitor is responsible for own signage. All exhibits must be freestanding. No bolts, screws, hooks, or nails shall be driven into buildings, sidewalks or pavement. Exhibit space must be occupied throughout the entire duration of the event. Exhibitors may not permit other companies to use their space, or any part thereof, without express written permission of the Festival committee. Application must be submitted by September 13, 2019. Click here to an application. Food Vendor Requirements: All food vendors must submit a menu of the items you wish to sell. All food vendors must provide a copy of Certificate of Liability. You must a valid Health Department license to participate in the Festival. Health Department’s forms MUST be submitted thirty (30) days prior to the Festival. Vendor Responsibilities: No alcoholic beverages other than those purchased at the Festival are permitted. Any item displaying profanity or discriminatory symbols, words, etc. is strictly prohibited. Vendors are responsible for the collection Virginia State sales tax and maintenance of appropriate documentation for state inspection. Sidewalks and walkways MUST be kept clear. All exhibitor products and materials must be stored and maintained within booth space allotted. Large items, such as packaging and/or boxes must be broken down. 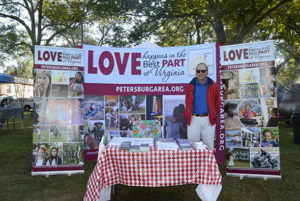 The event is scheduled for Saturday 11 a.m. – 5 p.m. All vendors must staff the booth at all times during the festival. 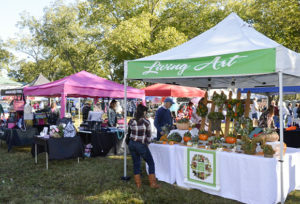 Booths may be set up the Friday prior to the festival from 12 – 5 p.m. or Saturday morning beginning at 7:30 a.m. Booth preparation must be completed, inclusive of the removal of any vehicles, by 10:00 a.m. Vehicles that are part of the booth can remain in the grove, weather permitting, within the confines of the vendor space. Vendor parking will be specified within the grove. No vehicles are allowed to move in the grove for take down prior to 5 p.m. on Saturday. Space is limited. An application will be reviewed for acceptance by Festival organizer and notified of denial. All fees must accompany the attached registration form. Checks should be made payable to the Richard Bland College Foundation, 11301 Johnson Road, S. Prince George, VA 23805. If you are not accepted, your deposit will be refunded. Subletting space to another vendor is prohibited. Vendors are expected to furnish their own tents, tables and chairs, display racks and any other items required for their display. The vendor participating is solely responsible for bringing any protective weather items. Each vendor is responsible for cleaning his or her own space during the event. All trash must be bagged and brought to the dumpster. Quiet and fume less generators can be considered, please make arrangements prior to the Festival. There will be no refunds given for spaces once you have been accepted as a participant in Festival. Returned NSF checks will acquire a $35.00 fee. We currently are not accepting any vendors from Thirty One Gifts, Paparazzi, LuLaRoe, or Pampered Chef. We already have representatives from each of those organizations participating. Click here for 2019 Pecan Festival Vendor Application. 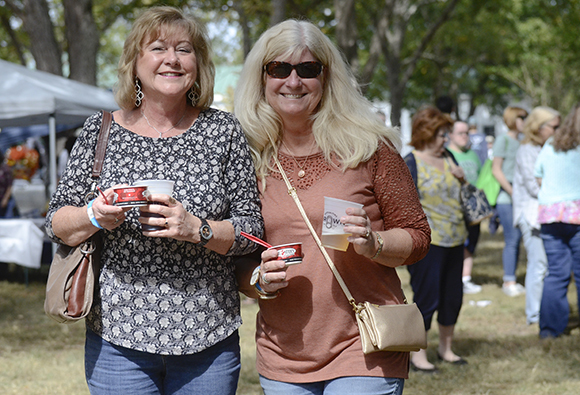 Sponsorship opportunities available for the 2019 Pecan Festival in the Grove. This festival began as a vision to bring people to the largest and oldest pecan grove in the state. We wanted to share the beauty of the grove and invite the community to share in the day of celebrating the pecan. We invite you to review the sponsorship packages for the 2019 Pecan Festival in the Grove. Sponsors will have exclusive on-site presence supported by event day exposure, event promotional material, media coverage, and social media presence. With support from sponsors like you, the Pecan Festival in the Grove will generate capital into the local economy. Become a partner and make this the most fun-filled, action-packed event yet! Please contact events@rbc.edu or via our online form for more details about sponsorship opportunities and for a sponsorship agreement. An array of mouth-watering food options and ice cold beer will be on sale throughout the day for festival goers to enjoy. Do I have to pay admission for the festival? No. There is no charge for admission. Where is Richard Bland College of William & Mary located? Richard Bland College of William & Mary is located at 11301 Johnson Road, South Prince George, Virginia 23805. Can I take pictures or record video at the festival? Yes! We encourage you to take pictures of the campus and activities. Use #RBCpecanfest when you share on social media. Do you have a map of the festival? A complete map of the Festival will be available a few weeks prior to the event. (Updated March 5, 2019). Can I tour the grounds of the Campus? Yes. We will have staff available to show all parts of our spectacular campus including RBC’s Asian Water Garden. Yes. The campus has ample parking and all will be free. There will be several Richard Bland College of William & Mary photographers taking pictures during the Festival. These photos could appear on the RBC website and its social media channels (Facebook, Instagram, Twitter) and for promotional purposes. Your attendance at the Festival is seen as your permission for such use by the College.